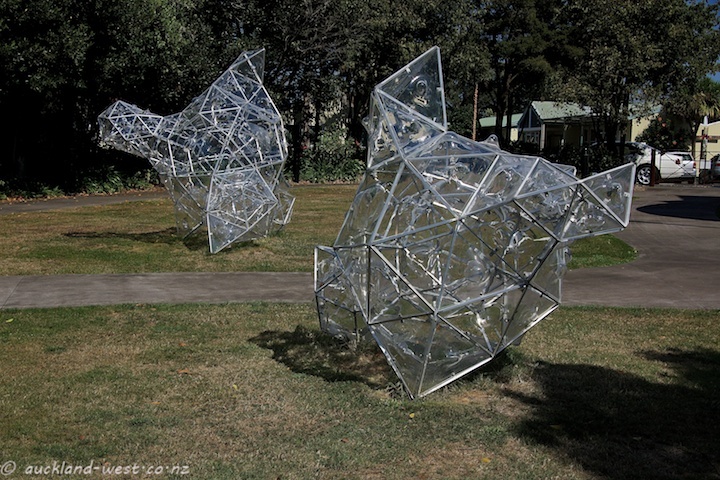 These sculptures by Gregor Kregar are on display in the grounds of the TSB Bank Wallace Art Centre. 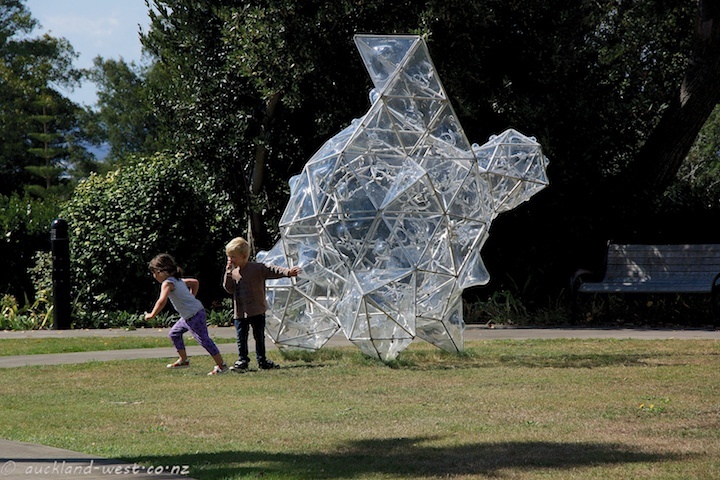 Constructed from acrylic sheet and aluminium – almost all faces being triangles. The City Daily Photo theme for April is “Triangles”. Click here for more contributions to the theme. 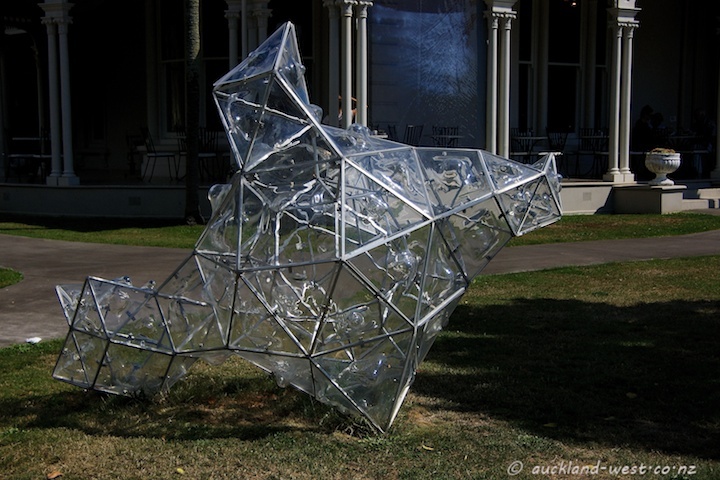 More works by Gregor Kregar on this blog – one of them is a piece in which all faces are triangles.